“The telephone cord was hanging from the receiver, wires sticking out of the broken, dangling end. Without knowing how many of you will actually read this post, I am willing to wager a $5.00 bet that at least once in your childhood, you either read a book, or saw a movie about a book, by Mr. Roald Dahl. If you’ve been living under a rock for the last 50 years, and by some weird chance you don’t recognize the name, Mr. Dahl is the author of a number of very popular children’s AND adult’s books. I won’t list them all here (if you’d like a list of them all, please go to the website) but I will tell you three of my favorites are James and the Giant Peach, Matilda, and Charlie and the Chocolate Factory. I’d like to share with you some of what I learned about Mr. Dahl while doing my research for this post. According to the “bio” information on the Roald Dahl website, Mr. Dahl was born to his Norwegian parents in Llandaff, Wales in the U.K. His mother was a story-teller by nature and provided Roald and his sisters with a deep sense of security. His father was an astute observer who kept detailed diaries of current events. Roald Dahl did not enjoy his school-aged years. While attending prep school, he remembers a school matron “who disliked small boys very much indeed” and a cane-wielding headmaster, both of which eventually morphed into Miss Trunchball, the hateful and horrible headmistress in Matilda. Amazingly enough, while attending public school, one of his school teachers felt that Dahl was “quite incapable of marshalling his thoughts on paper”. However, he did have a few bright spots during his school years and interestingly enough, they involved candy. In his younger days, Dahl recalls standing in front of candy store windows with his friends as they contemplated the mysteries of certain candies like “gobstoppers” and “sherbert suckers”. In Derbyshire, where he attended public school, the Cadbury Chocolate Factory was located nearby so the students were often given free chocolate for testing purposes. On a side note, it was not uncommon for factories to send spies in to their rivals’ factories in an attempt to learn trade secrets. Here were the seeds of the stories to come. His first children’s book was not James and the Giant Peach, as everyone believes but instead was a book entitled, The Gremlins and was a picture book written for Disney. Disney originally intended to make a movie based on the book but it never happened. Shortly after Disney decided to drop the project, Roald Dahl began writing for adults and did so for the next 15 years. He wrote frequently for the Saturday Evening Post, Atlantic Monthly, and Harper’s. He won the Edgar Award from the Mystery Writers of America three times and was also a writer for the television series, Tales of the Unexpected. 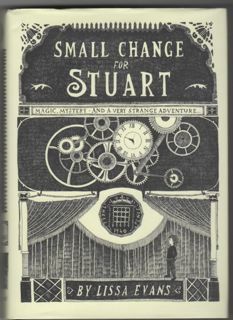 His short stories and books for adults were hailed by critics as “dark”, “funny”, “inventive”, and “imaginative”. It wasn’t until Dahl had children of his own and began telling them bedtime stories, did he begin writing stories for children. His books have been published in 34 languages and have won numerous awards. In 3rd grade, my teacher, Miss Pruski, used to read to us after we came back to the classroom after recess. The class would quiet down and we would sit expectantly as Miss Pruski picked a book to read to us. When she started with a new book, she would tell us the title and the author. She would show us the book and we would discuss the cover art and the synopsis. Then she’d begin. She’d read about a chapter a day. Sometimes we’d listen to her read that book for a few days, sometimes for a week, sometimes, a little longer. Her trick was to get us to a point in the book where we needed to move forward, to find out what was going to happen. After several days of reading to us, just as we were getting to the meat of a good story, she would abruptly put the book away and inform us if we wanted to know what happened in the book, we would have to go to the library and check the book out. 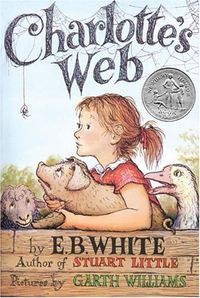 It was in this way that I discovered James and the Giant Peach, Charlie and the Chocolate Factory, and Charlotte’s Web (we’ll be talking about E.B. White in the near future). 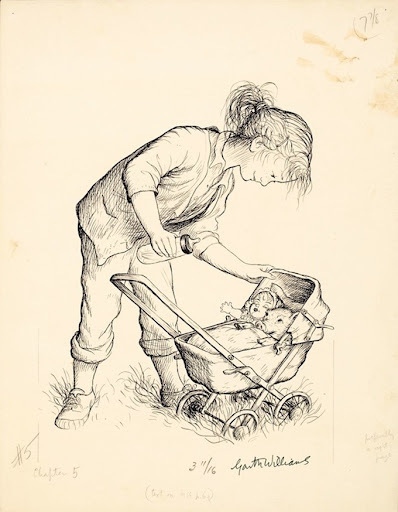 Roald Dahl was a master of children’s books because he remembered what it was like to be a kid. He remembered what it was like to be scared of principals, to hate school, to love school, to have a crush on your teacher, to feel like the most deprived kid on earth, and to feel like the richest kid there ever was. He remembered what it felt like to crave something you couldn’t afford or the feeling you got as a kid when you bit into that candy bar you saved up all your pennies for. Roald Dahl tapped into childrens’ psyche better than anyone and his books continue to entertain and engage us. When you begin reading a book by Roald Dahl, you are a kid again and there’s a magic in those books that very few authors have been able to replicate. 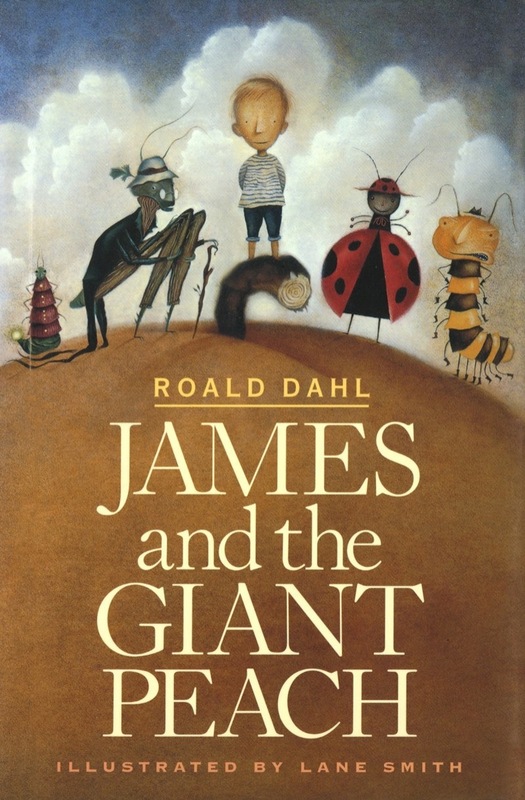 On the market today, a 1996 first edition of James and the Giant Peach will run you about $7.00 and up. 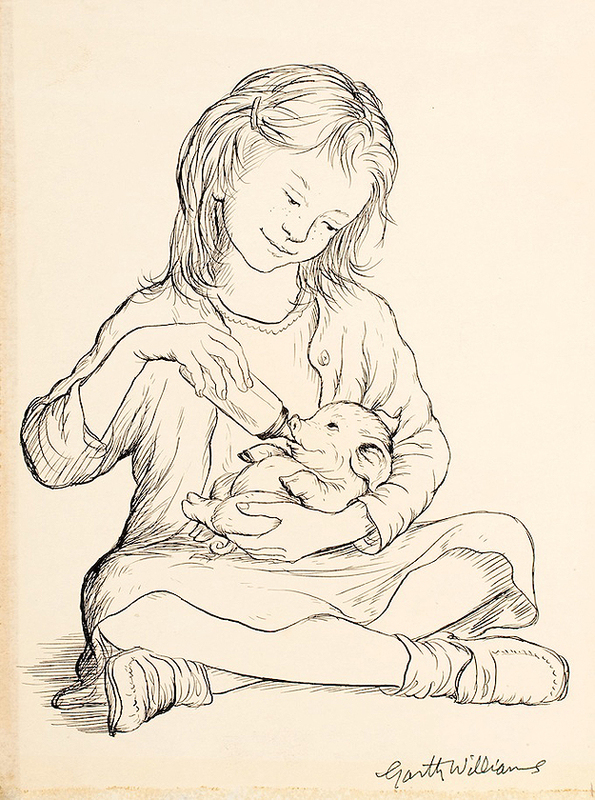 A 1973 near fine edition starts at about $50.00 and goes up. 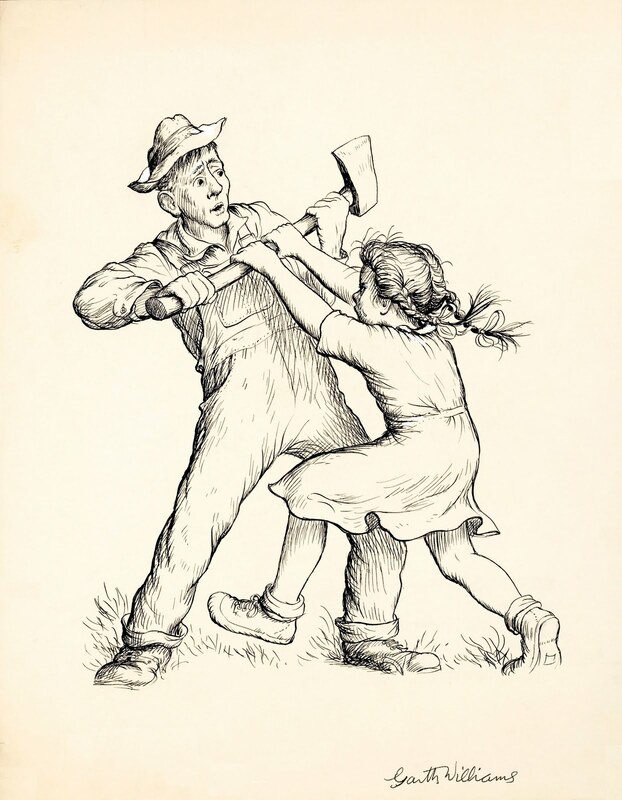 A 1961 first edition, later printings starts at roughly $200.00 and a 1962 signed first edition, first printing in fine condition will cost you about $12,500.00! 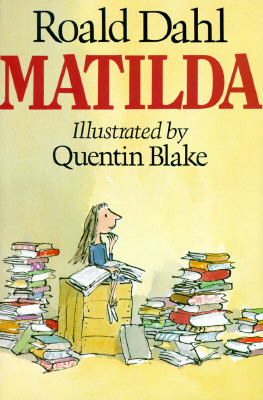 A 1996 first edition of Matilda starts at about $10.00. A 1988 first edition, first printing starts at $30.00 and works it’s way up to $400.00 for a signed near fine copy. 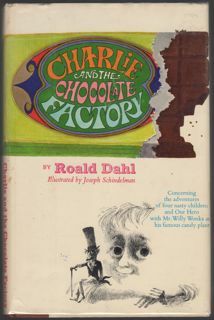 A 1976 first edition of Charlie and the Chocolate Factory starts at about $$15.00. 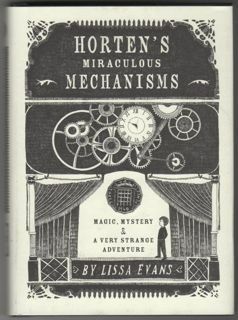 A 1964 first edition, later printing (like the one pictured here) starts at about $75.00. A rare 1964 first edition/first printing starts at $995.00 and a signed version of that book begins selling at $7500.00 and works its way up to $19,250.00 for a signed first edition/first printing in very fine condition. I share these prices with you, my readers, so you are aware of what you may have lying around in your attic AND so that you may know the depths of love and joy Dahl’s readers take in his books. I hope that you have had the opportunity to do the same and if you haven’t, you really owe it to yourself to do so. FYI, the Royal Mail, U.K., is honoring Roald Dahl with postage stamps. The link to purchase some is here.